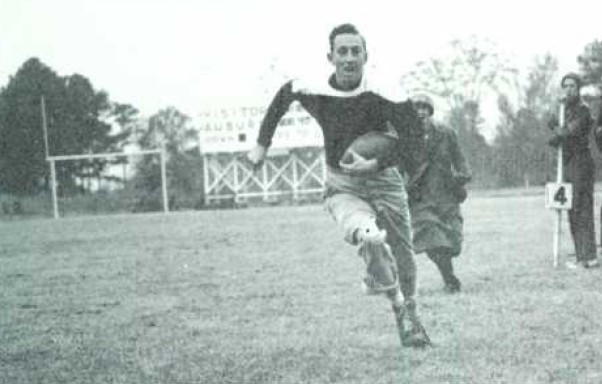 It’s hard to see, but that scoreboard in the background of this 1944 Glom photo of intramuralites apparently enjoying full access to Auburn’s awesome new football facility was amazing. The impulse that will possibly soon raise a spaceship over Jordan-Hare: IMPROVE THE GAMEDAY EXPERIENCE. It is the mantra, mantra, mantra of Auburn Athletics. And it was always thus. 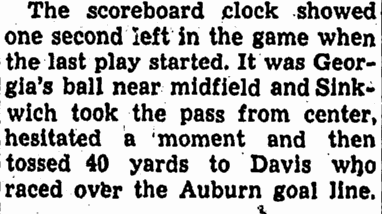 Forty feet wide, 15 feet tall: These were the jaw-dropping specs for Jordan-Hare’s first scoreboard — “one of the most modern in the country” — that debuted at Auburn’s 1941 homecoming game against Clemson. 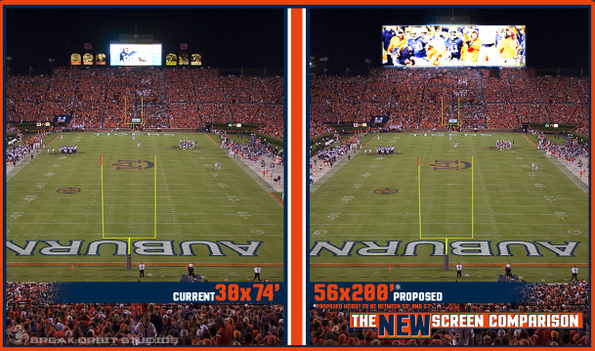 The people at Break Orbit Studios, who know more about math and stadium specs and stuff than we do, say this is what Auburn’s proposed new scoreboard would look like. At 200 feet wide and 56 feet tall, it would be the largest college football scoreboard in the universe. Of course, Johnny Public was supposed to have had its scoreboard by the dedication of Auburn Stadium two years earlier. It didn’t happen. And it likely cost Auburn a victory. Knowing how much time you had left in a game — that could really come in handy when you were on the goal line with two seconds left. And for the modern football fan in 1941, it was becoming a must. The Memorial Stadium scoreboard no doubt factored into Georgia’s last-second win over Auburn a few weeks before Auburn’s first stadium scoreboard was debuted. 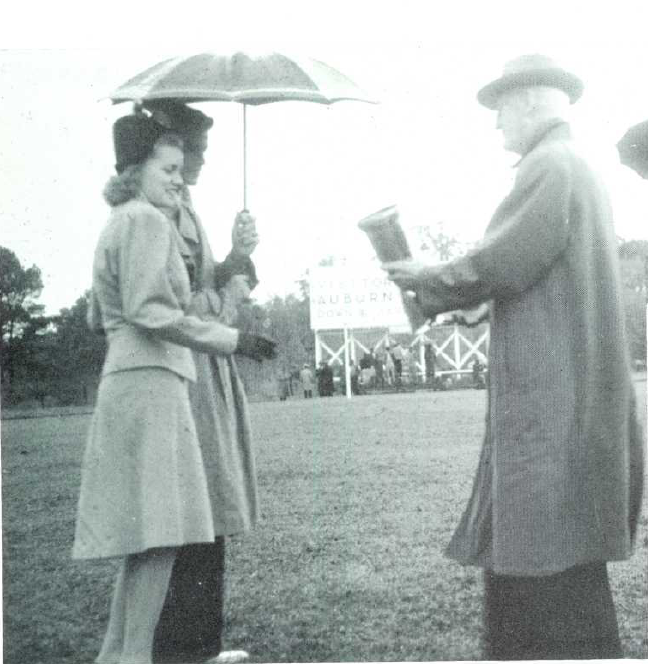 This Glom photo of the crowning of Auburn’s 1943 homecoming queen gives a slightly better view of the new scoreboard. Seventy-four years worth of advances in peripheral vision retention later, it may soon be impossible not to watch the scoreboard as much as the two teams on the playing field, however much time is left in the game.